Toco-Tholin Balsam Root has been manufactured in accordance with recipe Eastern derived from dr. Tan (a Chinese doctor) and is based on eucalyptus oil, cinnamon oil and clove oil with extra menthol and camphor. 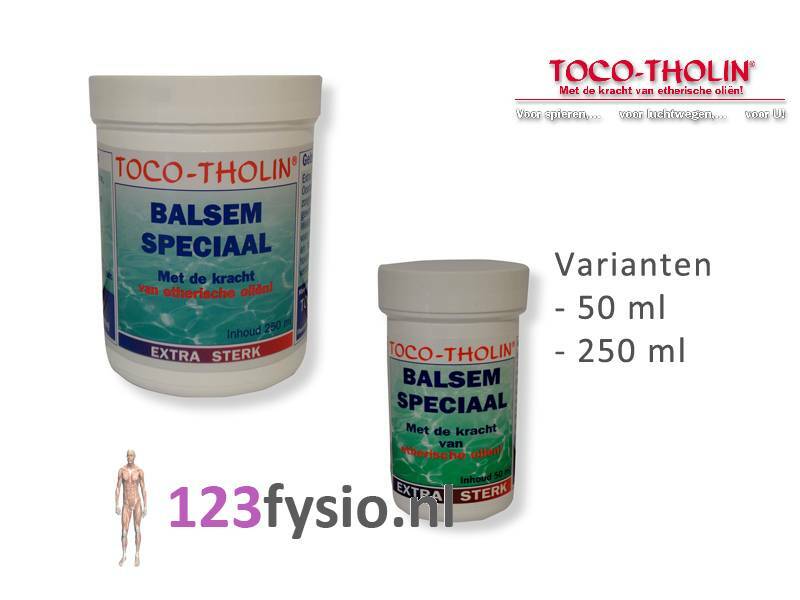 Toco Tholin Special Balm can be used for the care of muscles and joints. The balm is also widely used in the sports care. Toco-Tholin Balsam Root is extra strong and therefore for people with sensitive skin are advised milder Toco-Tholin balm. in children too. 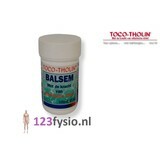 Toco-Tholin Balsams have a depth and contain NO Methylsalicylate! ✓ made penetrate the essential oils deep into the muscles on the skin. They are rapidly absorbed and promote blood circulation in the muscles. This provides a natural faster removal of waste products. 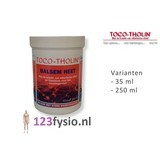 Even if cold it is nice to get some lubricating Toco-Tholin balm on the chest and back. The invigorating fumes give you air again! ✓ Do you often suffer from headaches? Maybe that tension headache which the muscles in the neck feel harder. Rub with Toco-Tholin Balsam Root, so it makes the muscles supple again! 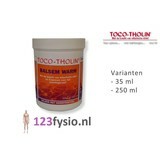 The Toco-Tholin Balm is formulated such that at body balm is soft and very fine to massage it. Thinly applied and massaged into the balm gives a warm feeling and applied thick, but not massaged gives a cooling effect. The latter is the reason why you can use our balm even with small burns. For example, when burned in furnace or iron. The top layer of the essential oils evaporate and then extracting heat from your body so you feel less pain. The layer does on your skin than the healing. You will feel less pain and will not blistering! All Toco Tholin products are not tested on animals!